On Friday, a judge shot down a New Jersey law that would have allowed sports betting, to the satisfaction of the four major American sports leagues, all of which opposed it—and all of which profit immensely from bettors' interest. As Mavericks owner Mark Cuban said of every owner and executive, including himself, "we're the world's biggest hypocrites." Even as the NBA opposed the New Jersey law, commissioner Adam Silver published a New York Times op-ed calling for the national legalization and regulation of sports betting. Silver and Cuban believe this is a problem worth addressing on the federal level rather than at the state, and that the New Jersey effort should be scrapped in favor of national reform. 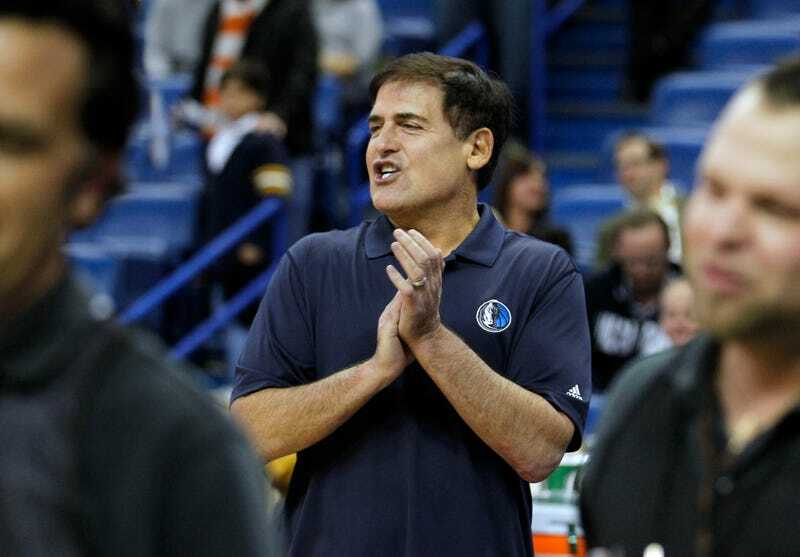 Speaking before last night's Mavs-Rockets game, Cuban said it's just a matter of time. "I agree 100 percent [with Silver]," Cuban said. "I think we're the world's biggest hypocrites when we say: oh, we don't want you betting on our games and then we get all excited about the sports betting line and people go to Vegas on trips won through the NBA or the NFL. It's hugely hypocritical. "I just think that Adam did the exact right thing by focusing on the federal regulations and making those changes there, that it will change. It's just a question of when." Cuban, who can't resist tweaking the NFL, went on to wonder why the country's biggest sports league is so against gambling when it wouldn't be nearly so popular without it. "I think over the next three to five years, it'll change and it'll be interesting to see how the NFL reacts. They so far have been adamant against it because I guess they have data that says the NFL doesn't benefit from gaming or gambling."